sea blue, see green: and Keira makes four! 2010 has been a big year for many reasons - it was filled with weddings and babies! We got married (as did Laurie and David, Rachel and Tim, Tyler and Lindsay, Graeme and Cary, Amy and Michael, Jeff and Mona)! 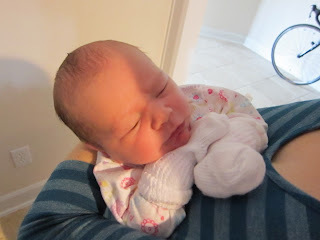 In addition, we welcomed three more nieces into our family - making for a total of four gorgeous girls. First came Cecilia almost four years ago. Then came Daniela earlier this year (her birthday is very close to mine)! Then came Claire just a few months ago! and last, but not least, Keira joined us just a few days ago! We consider ourselves the world's luckiest aunt and uncle! A word of warning to the parents - our aunt/uncle philosophy is impractical gifts and lots of sugar!